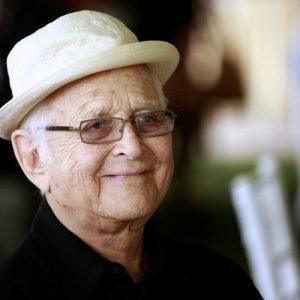 Long time agebuzz readers may remember that last July, we featured a piece from The New York Times highlighting a new video about legendary TV producer Norman Lear who, at age 93, wanted to make sure you know that aging can be a laughing matter! Well now, at age 94, in his continuing quest to add luster to his long career, Lear has started his own podcast, called Norman Lear: All of the Above. Covering a range of issues including current events and politics, Lear facilitates provocative conversations with celebrity guests including Amy Poehler and Julia Louis-Dreyfus. Proving himself to be a master of all media, you can read more about this new podcast Here and give a listen to it Here. What will Norman Lear do next, when he turns 95? Stay tuned.